This Orson Welles ebook is a case study of an individual that was able to think "out of the box". Each small fact presented leads to the whole of a thinking process that will always provide an unexpected Third Option. The process that is presented here is the kernel of all deception theory. It's why Bart is called the "defining expert" of deception and counterdeception (the detection of deception) by the intelligence communities of many countries. Not only does it personify the Whaley Deception Theory it presents the genius of Orson Welles through all his creative work, not just Citizen Kane. Orson Welles was not the pitiful individual that some biographers present. 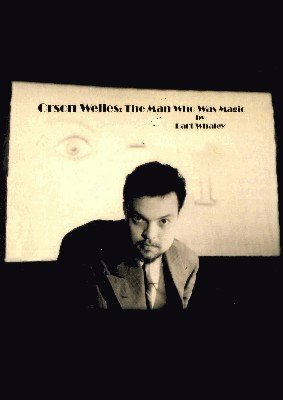 This unique presentation of Orson Welles not only buries many of the old myths but, for the first time, presents him not just as a stage and film celebrity but as the extraordinarily multi-talented and creative thinker that he was. 1st edition 2006; 663 pages.